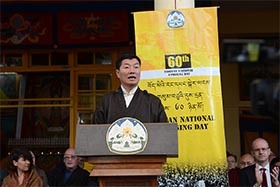 McLEOD GANJ, India, 24 April 2019 Sangay said that he left no stone unturned in his endeavours to contact the Chinese authorities for resolving the Tibetan issue. "It is China that is not coming forward for talks." ON THE WEB, 23 April 2019 The Islamic State group on Tuesday said it was behind a devastating string of suicide attacks against churches and hotels in Sri Lanka that killed more than 320 people on Easter Sunday. ON THE WEB, 23 April 2019 Prime Minister Narendra Modi cast his vote on India's "Super Tuesday" when the biggest number of seats are decided in the country's marathon election. McLEOD GANJ, India, 23 April 2019 The 30 activists will be riding through Chandigarh and Sonipath, and will reach Delhi on 25 April for an event for the Panchen Lama on his 30th birthday. China is realizing that economic and trade power has its limits, like Hitler realised that military power has its limits. 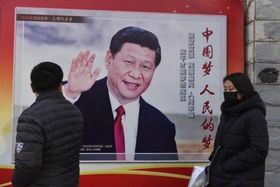 If China will not alter its aims, it will pay a price before long. The question of Tibet is more than that: It is a question of human rights and democratic values for all of us, and actually something we all can relate to. Michael Buckley, Tibet specialist and environmentalist, has warned of the looming ecological and environmental catastrophe due to climate change, affecting the lives of billions of people.